As buzzkills go, few were greater than the 2012 Honda Civic. It was boring. It wasn't fun to drive. It was outclassed by nearly every new compact car. It also sold like crazy. Thus enter the 2013 Honda Civic, which is designed to address the concerns of people who don't buy the car. Many are focusing on how this means that our complaints as auto journalists mean nothing. Reviewers said the car sucked and people bought it anyways. In a sense, it's a completely accurate view of the situation. Car reviews don't impact buyers as much as we think they do. Because information on new cars is available everywhere, we don't have to get it filtered from reviews. Short-term sales of massive volume cars like the Honda Civic do not suffer from bad recommendations from reviewers, just like positive reviews of cars like the Saturn Astra didn't do much to boost sales. I think this is mostly obvious at this point. However, there's a deeper issue here and credit goes to Honda for recognizing it. Civic sales are high because, even though the car is slightly boring, it's still not a terrible car and it carries a great reputation. 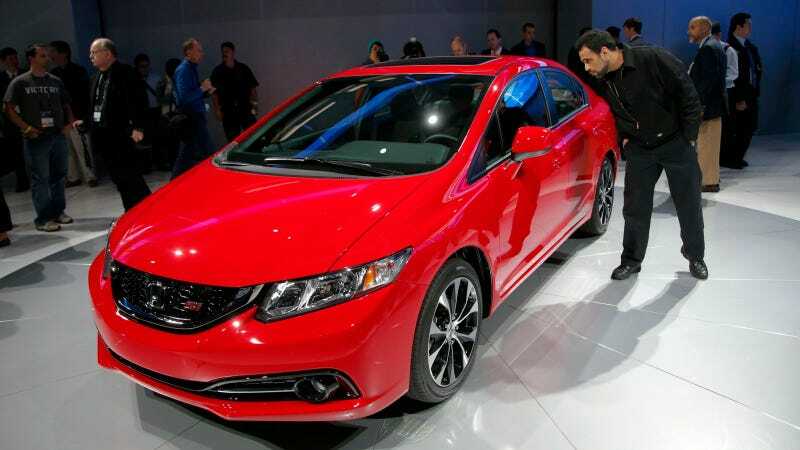 Reviewers drive everything, so they know the 2012 Civic didn't match up to the competition. People who buy cars tend to only take the time to test drive one or two competitive cars. The Civic is still better than the Toyota Corolla, even if it isn't better than the new Focus or a Veloster or another car we might recommend. in the business. Would the new Civic have lost its reputation and market share over the long term? I think so. You can only build non-competitive cars for so long before consumers wise up, and this sudden shift to a better car is a sign that Honda isn't content to build a non-competitive car. That's good. How is the car better you ask? Other than creating a body that no longer looks like a rounded car toy for a toddler, Honda says they've made the driving more dynamic. Until we actually drive it we just have to trust them on this, but given how boring the 2012 is they could have done very little and it would be better. Will Honda sell more Civics now? Maybe. The changes largely appeal to people who wouldn't buy a Civic in the first place, but a lot of those people are the ones who would have purchased a Civic in the '80s and '90s.